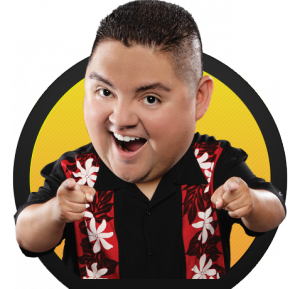 I just got around to save myself a seat for a stand-up show with Gabriel Iglesias on his trip to Norway this year. More specifically, when he comes to Oslo on November 16. That’s a Friday. Last year, I found out about his trip to Norway a little late, and too late to find an affordable flight. In essence, I missed out. This year, I don’t plan on missing out. When I found out that “Fluffy” was coming back to Norway, I looked at the list of performances, and I felt I had only one single choice to make: Which show do I attend? He would be performing in Oslo on a Friday, and in Bergen on a Saturday. Later on, another show in Norway was added: Trondheim on a Thursday. All shows were in the same week, and since I’m at least one flight out from either location, I had to restrict myself to one of the locations, and maybe make a weekend out of it. Looking deeply into my options for flight and hotel package at Expedia, I found out that the least expensive option would be in Oslo. Also, a good friend of mine lives in the Oslo area with his wife, which helped tip the scale in favor of Oslo as my destination. I made sure I booked my show ticket first, since availability would definitely not last. The sections at the very front of the stage were already sold out, but I got a seat in the section right behind it. I’m not too happy about the seats, but I still don’t know what my view will be, so I’m happy I at least got a ticket for the show. I’ve yet to book the travel package (flights and hotel), though, but I plan on doing that next week, when my paycheck comes in. I’ve already picked out a hotel possibility, if it’s still available and still as affordable as the last time I checked it at Expedia. Posted on 07.08.2012 at 00:29, categorized as blog.